How To Choose Chinese Suit Jacket? Home :: MensUSA Articles :: How To Choose Chinese Suit Jacket? Chinese suit jacket depicts the ancient chinese clothing history. There were distinctive classes and each class managed different kinds of dresses to maintain their dominance. The variation in dress designs and patterns happens at different points of time. There are different kinds of chinese suit jackets. You can find comfortable as well as fashionable suits from the comforts of your home. You can derive unique style by wearing a great looking chic reverse style chinese men's jacket. It will give you a different type of altogether new experience. The combination of chinese art and modernity is depicted through chinese suit jackets. To get best price, you can go through the wholesale suit jacket sales which will be accomplished through online as well as offline. The size of the suit jacket should be identified so that you will not make any mistake in choosing the best jacket for your needs. The jackets are made up of cotton and linen. They are made up of blue and beige as well so that you can wear them as per the occasion without any issues. Can you wear red mens jacket? 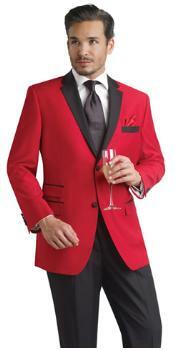 You can go for red mens jacket which will match with any of your favourite shirt or pant. The Chinese jacket with mandarin collar and long sleeves is very popular. There will be two front pockets and the jacket will come with full lining. The Chinese silk is very popular. The jackets that you purchase through the premium websites will be made up of finest quality fabric which will last for a lifetime. By wearing oriental style jacket, you can produce oriental temperament and it is possible to get warm welcome at various gatherings. You can find red Chinese men's jacket which comes with pink plum blossom embroidery. These jackets can be chosen as per the occasion, size and material. There are jackets made up of comfortable and fine material so that you will be able to use them at various occasions without any issues. You are advised to go through the terms and conditions so that you can settle for the best jacket as per your needs. If you figure out your needs, there will not be any conflict in picking the best jacket. How white dinner jacket with black lapel can adorn you? The white dinner jacket with black lapel is the mark of a true stylish man. It can be worn on a black pant. It is the best possible way to steal the show. You can wear white dinner jacket on weddings and special occasions so that the real difference can be produced. It is possible to add more style than the traditional black or brown jacket worn in the western world. The white dinner jacket with black lapel will give better image when it is worn with black shirt beneath it. It can be worn with either single breasted or double breasted version. You can also wear a blue shirt beneath the jacket, to get a different look. As these are deviations from traditional wearing styles, you should be confident enough to pose with them. You should not experiment to work with your style. If you have a playful attitude, you can certainly make the most of the time with the white dinner jacket. By adding textures and patterns and colours, you can certainly mesmerize your guests. It is suggested to pick up either peak lapel or shawl lapel as per your style. Chinese suit jacket will let you go for innovative styling options. You should choose colours in a very sensible manner. Provided you go for right fit and good combinations, it is possible to steal the show at parties and other important celebrations in your life. The time that you spend with guests will be most memorable.